Cathy’s surgery has been scheduled for this Friday, October 8th. Last week, she went in for a consultation with the surgeon, and she also had another ultrasound to re-evaluate the status of the tumor. The ultrasound showed that the tumor had shrunk significantly, to the extent that the technician had trouble finding it. Later, we found out that they found a new suspicious mass in the ultrasound. A biopsy was performed on Friday to determine the nature of the mass, and we are awaiting the results. Since she is about to have surgery anyway, if the mass turns out to be malignant, they will simply remove it during the operation. Aside from visits to MD Anderson last week, we also had to deal with a severely sick dog. 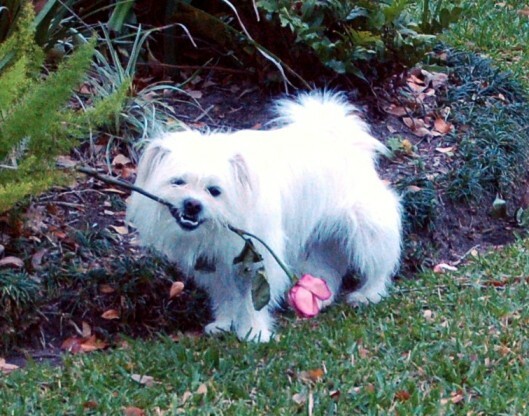 Peewee, our Pekingese mix we brought back with us from Beijing, fell ill on Wednesday. He normally makes it through the night without having to go to the bathroom, but he woke us up several times in the middle of the night asking to go out. The next day, the situation was worse, and he wasn’t able to hold it in long enough to wait to be let out. Then, just after we had cleaned up his extensive mess, he started vomiting blood. We took him to a vet and found out that he had pancreatitis. He was given multiple antibiotics and an injection of water into his back (rather than an IV) to replace lost fluids, which left him looking like a little camel. He seems to have recovered now, and I’m glad that Cathy won’t be worrying about him when she goes in for surgery. woah, hope everyone in your home gets healed fully after the operations. Will be praying for you two.